It's little wonder Amanda Cecconi found her career in helping companies that are competing for market share, the lifeblood of venture-backed businesses. After all, the woman who is now founder and managing director of Franklin-based Punching Nun Group was only 14 when she qualified to play wide receiver on a previously all-boys tackle football team. Growing up in her hometown Pittsburgh, Pa., she also learned hardball early, playing first base in a teen baseball league. Later, she was taller, but not much older when -- despite "never having touched a basketball" -- she tried-out for high-school hoops, and went on to set a personal scoring record, which, she points out, still stands today. Looking back on those early successes, Cecconi said she believes that then, as now, it was mostly about execution: She was instinctively disciplined in identifying and mastering the skills she needed, and then following the direction of her coaches. She admits personality also played a role: While setting basketball records, she also drew her share of referees' whistles for technical fouls. "I'm naturally competitive," she said with a slight smile, before emphasizing that she strongly believes that sports is a unique setting in which women can develop lifelong competitive skills. It's been 24 years since Cecconi arrived in Franklin from Detroit, where she had spent her early career as a Ford Motor Company product manager and financial analyst. Today, Cecconi functions as a "fractional" chief marketing officer for early-stage companies that have gained some revenue traction, but need to design and execute a fresh marketing strategy; and, for more mature companies that need rebranding or leadership for a product launch. She explained that her "Punching Nun" brand isn't about mere pugnacity. Rather, the brand reflects Cecconi's admiration for the dedication, forthrightness and "servant leader" personalities of Catholic nuns she met during 12 years of parochial school and, particularly, in the healthcare industry - as well as the fun she still associates with the "Punching Nun" hand puppet of yesteryear, which has now entered the realm of collectibles. Cecconi said she has thus far advised at least 25 portfolio companies that have gained investment from venture capital (VC) firms: Brown Brothers Harriman & Co., TT Capital Partners (TripleTree), Solidus and Claritas Capital, among others. Her clients have included Franklin-based Pierian Biosciences, Brentwood-based WPC Healthcare (acquired by Intermedix, now being acquired by R1 RCM), Murfreesboro-based TwelveStone Health Partners (healthIT startup), and Help4Life (an earlier Solidus-backed startup). Pursuing her passion at mid-life, Cecconi draws from a large portfolio of experience. In the years right after leaving Ford, she held senior marketing or business-lead posts with locally based St. Thomas Health Services (Ascension), Cybera (the secure communications networks provider backed by Sumeru Equity Partners), EBM Solutions (an evidence-based medicine play that Cecconi helped sell to HealthGate), Cendant Marketing Group, and Covad Communications, the latter a former provider of high-speed Internet access. 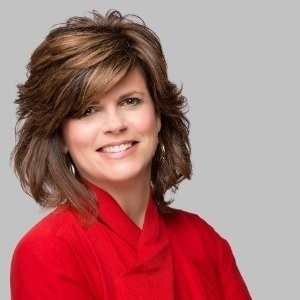 She was also chief marketing officer for Nashville startup Change Healthcare. The company, backed by local investor Solidus and others, eventually sold to Nashville's Emdeon, which soon adopted the Change Healthcare brand as its own. Her Linkedin profile is here. Her consulting and outsourced staffing practice is increasingly weighted toward the Healthcare sector. That weight reflects not only the region's prominence in healthcare delivery and healthIT, but also the success and personal satisfaction Cecconi said she has enjoyed while working with healthcare providers and life sciences companies. Her satisfaction is heightened sharply by the fact that some members of her own family are living with chronic medical conditions, and by the fact that the nation needs addiction treatment and recovery programs more than ever before. She has clients in related fields, but is not yet free to release their names, she explained. Ad hoc, she serves some companies in other industries, including the financial-technology space, or "fintech." One such fintech client was Shareholder InSite, which was then owned by Nashville serial entrepreneur Joe Maxwell, who now heads Brentwood-based FINTOP Capital, a venture capital firm specializing in fintech. Asked by Business Williamson to comment on working with Cecconi, Maxwell said, "Amanda is an extremely competent and turn-key solution provider when it comes to brand building and marketing strategy." Cecconi, her business Partner Sloane Scott and a couple dozen contract specialists support five or more different clients each year, the founder said. The firm's "virtual pool of talent" is serving clients very well, she said, and she has no plans to merge with other firms to achieve greater scale. She explained that she's not a "true entrepreneur," in that she feels that her current business model and organization are perfect fits for her, and she plans to work in her business a long time. Besides, she said with humor once more, "I've been told by wise people that I'm unemployable." And, she's good with that: "You've got to be authentic and figure out where you want to be," she said. "I love what I do and Dad once told me that if I could find something I loved, I'd never 'work' a day in my life." Cecconi is the second-born of seven children in an Italian-American family. She and her three sisters out-numbered the boys. She earned her MBA at Wayne State University in Detroit in 1990, and her bachelor's in economics in 1987 at St. Vincent University, a Catholic, Benedictine institution in Latrobe, Pa.
She continues her long-standing service as a member of the advisory board of St. Vincent's Alex G. McKenna School of Business, Economics and Government. Asked how a Pittsburgher ended-up in Tennessee, Cecconi explained that she's long been a Civil War buff. Knowing that, some Ford coworkers a quarter-century ago suggested she visit historic Franklin. Particularly given that she'd been hankering to relocate, she took her friends' advice. During a brief vacation in the City of Franklin, where she visited Carter House and other historic sites, she insists that she became instantly and unequivocally committed to moving here. She soon landed a job in Middle Tennessee with a Ford Motor subsidiary, Primus Financial Services, and made her way south from Detroit. She said loves Franklin as much now as a quarter-century ago. And, as a self-described fiscal and social conservative, she said hopes the city continues to deal effectively with the host of issues driven by the region's rampant growth. Having witnessed the economic struggles of the late 20th Century in Pennsylvania and Michigan, she said she's especially happy that Franklin has a balanced economy and is not "a single-industry town." She and husband Randy Thompson live in their restored 1888 Victorian home in Franklin.